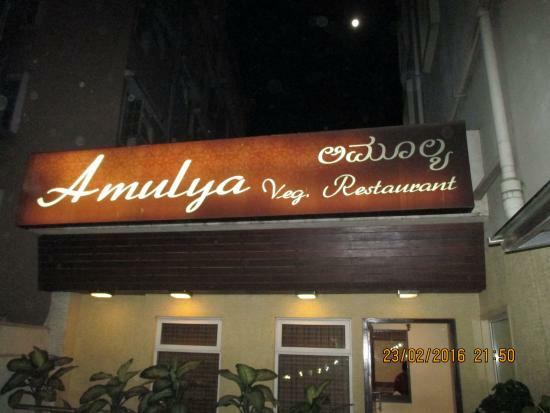 There aren't enough food, service, value or atmosphere ratings for Amulya, India yet. Be one of the first to write a review! I had taken food 3-4 times here. It is a part of CRN Canary Sapphire Hotel. I liked Tomato soup and Garlic Naan here. The restaurant is non AC but prices of food stuffs are high. The service here is satisfactory. This restaurent attached to a hotel offers a variety of vegetarian menu. Decent seating is available inside. Service is good and food is fresh and good. Pricing is also reasonable. Pure veg restaurant with wide menu. Ambiance was good and liked the staff behavior. 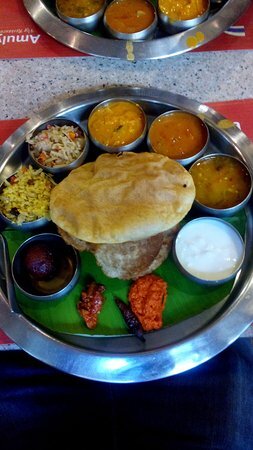 I serves all north and south indian items in veg. I had stuffed kulcha and mushroom kaju mutter they are very tasty. This restaurant is a part of Hotel CRN Canary Sapphire. This place is very near to Majestic, Bangalore. The ambiance is nice and preparations are also good. I like paneer kadai and garlic naan here. Soups are also good. Overall my experience was satisfactory. Get quick answers from Amulya staff and past visitors.